The original cabinets were dull and flat, lacking any depth. We refinished the built-in cabinets with a base of Benjamin Moore’s Harbor Gray and glazed the cabinets with a soft Van Dyke Brown. We accented the island with Benjamin Moore’s Duxbury Gray which is a green-toned gray. We used the same Van Dyke Brown glaze with golden highlights. 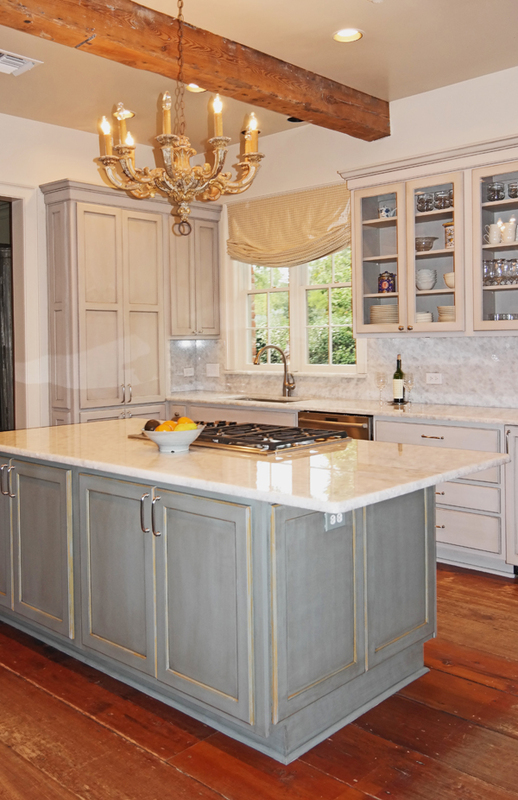 The cabinets totally transformed the kitchen adding needed depth and dimension!